Today the demo of the anticipated Mafia 2 game was made available to the general public with the full game becoming available a bit later this month – August 24th in North America and 27th in Europe. Mafia II takes advantage of Nvidia’s PhysX technology and is going to be a 3D Vision Ready title, working well also with triple monitor 3D Vision Surround setups. What you need to we bell aware of is the fact that the game is quite demanding in terms of graphic power needed if you want to play it with maximum detail level and PhysX set to high, let alone in stereo 3D mode on top of that. The recommended to have GPU is a GTX 260 without using PhysX and 3D Vision and for more you better have a Fermi-based video card ready and SLI with at least 460s would be good to have in order to crank up the PhysX level and play in stereo 3D mode with comfortable framerates. For 3D Vision Surround Nvidia recommends you to have GTX 480 in SLI and an optional dedicated for PhysX graphics card which may be a bit overkill just for a single game, but Mafia II might as well turn out to be “the game” that is worth upgrading your PC for. I’m not yet sure how well it will work on ATI-based GPUs, but then again there you will miss the additional details provided by the PhysX support along with most likely no stereo 3D mode support, although you might still have some options for that. The demo for the game is available on Steam and it includes support for bot PhysX (off, medium and high modes) as well as 3D Vision, so it can give you an idea on what to expect from the full game when it comes out. There is also a heavy benchmark mode that can show you a bit disappointing framerates even on hig-end configurations, because there is a lot of physical calculations going on in the scenes rendered in the benchmark and with PhysX set to high you’ll be out for a surprise, especially if you test in stereo 3D mode with 3D Vision even on GTX 480. Anyway, you better try the demo yourself, it is available now, than to just read impressions from it, just be prepared that you might finally need an upgrade for your PC to fully enjoy the game. Below you’ll also find some screenshots in stereo 3D mode that I’ve took inside the demo of Mafia 2, they are in 1680×1050 resolution, with maximum details, AA on (2x SSAA only) and PhysX set to High, so you can get an idea on what to expect. You may notice a bit of ghosting in specific scenes (it is a monitor-related issue, and not the game being responsible), but in overall the game looks great in stereo 3D as expected from a 3D Vision Ready title. The NVIDIA APEX Clothing module allows for more dynamic movement in clothing, making in-game characters even more realistic and reactive to environmental conditions. With the implementation of NVIDIA APEX Particles, players are engulfed in lifelike explosions that are bigger and brighter, including weapon fragments, in-game debris and destructible environments that are amplified in both quantity and realism through the integration of APEX Particles. For example, a pistol fired into a glass pane will emit hundreds of glass shards; a shotgun blasted through a wooden landing will splinter the wood; and a Tommy Gun will chip into a brick or stone wall to methodically fracture and break it into pieces. 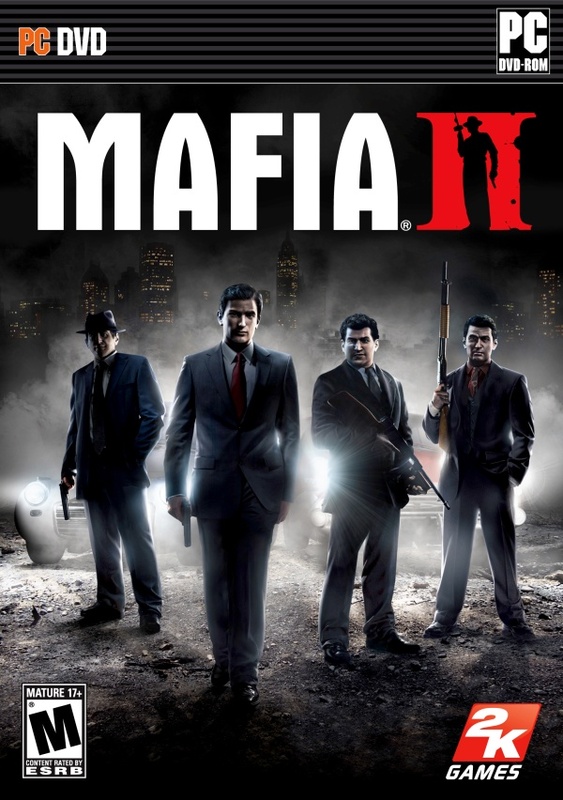 Mafia II will be available in North America on August 24, 2010, and internationally on August 27, 2010.